With the water levels at an all time high our riding area has been expanded to lots of new areas. The difference in our airboat trips is we take smaller groups so our guests can fully enjoy what an airboat can really do. We have the ability to run on the marshes with minimal to no water. When water levels are high the gators tend to hide further back in the brush where a lighter airboat has an advantage of being able to run where they hide. 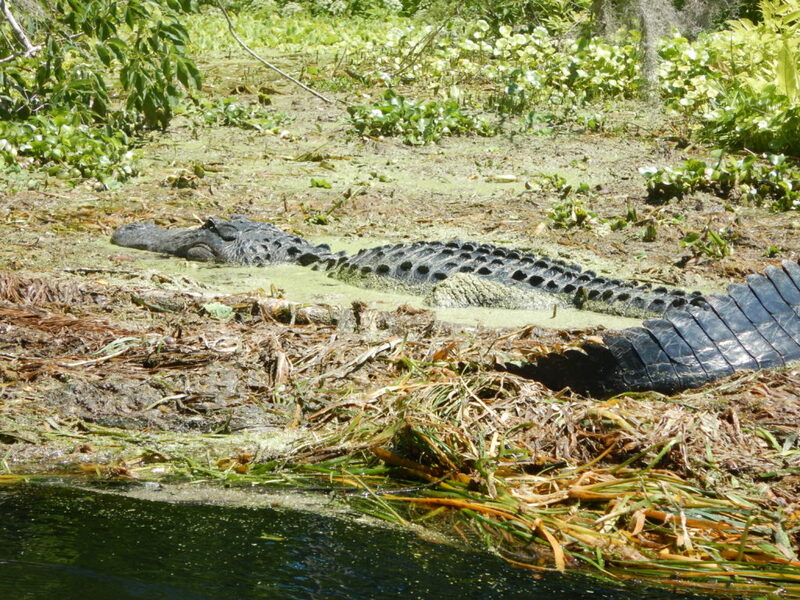 On a normal one hour trip you can expect to see gators, bald eagles, ospreys, turtles, snakes and tons of fish in the crystal clear springs of Juniper, Silver Glenn and Salt Springs. Book a trip today and don’t forget you’re cameras.